Aaron Ramsey has spent 11 years at Arsenal and he has been supported by majority of the fans even after his career ending injury. Aaron Ramsey has officially joined Juventus on a four-year deal that will see him get paid £400,000-a-week wages. It’s a big day for him because he will at the end of the season make a move to Juventus which is currently one of the best clubs in the whole world. Aaron Ramsey has been at Arsenal for more than a decade now but it’s surprising how they are losing him when he is at the right age to shine for the gunners but they will have to move on as they have always done when their stars like Robin Van Persie, Alexis Sanchez and many more others leave the club. Aaron Ramsey will always have a special place in the hearts of Arsenal fans because he scored the winning goal that ended their trophy drought of the gunners a few years back and he also recently scored in the 2017 FA Cup final against Chelsea. Juventus have made an announcement confirming that Aaron Ramsey will be joining them at the end of the season. 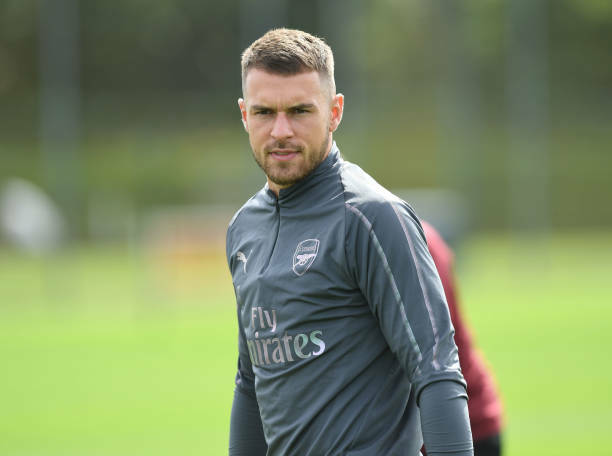 Aaron Ramsey has also issued out an emotional farewell message on Twitter to the Arsenal fans for all the support they have shown him in the last 11 years. Ramsey also made a promise to put on his maximum performance on the pitch in his last months in London. “I will continue to give the team 100% and hope to finish the season strongly, before heading on to my next chapter in Turin.” Aaron Ramsey wrote this in his farewell message. The Arsenal fans will be hoping that he honours his promise and puts on great performances because winning the UEFA Europa League with him would be a proper send off so that he could at least be seen as a legend because he’s done a lot for the club in the Emirates Stadium era.